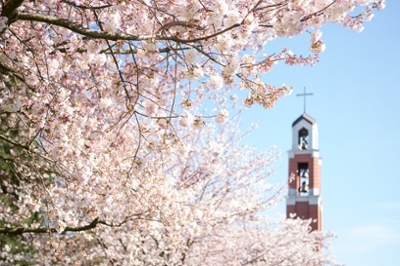 The University's bell tower serves as a daily reminder that our faith rings in our lives throughout the day. Learn more about the bell tower, the dedication of the bells, and the Angelus prayer that the bells invite us to pray at 12:00 p.m. and 6:00 p.m. 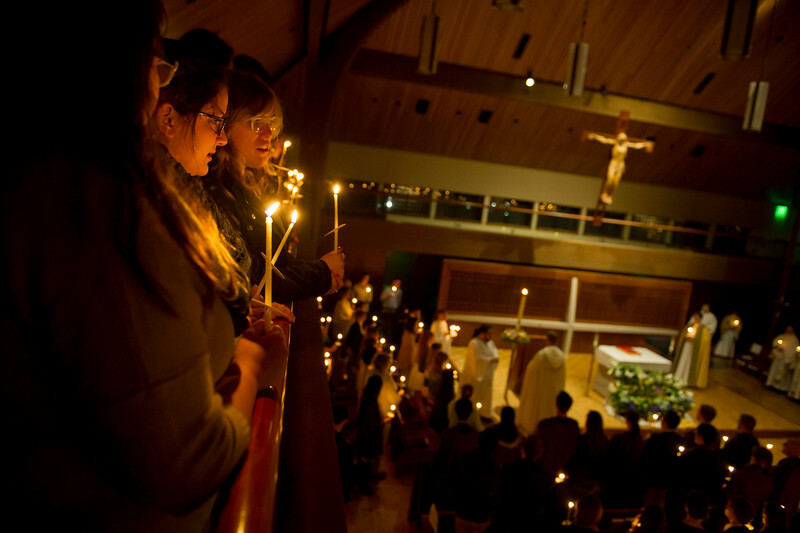 In addition to our beautiful Chapel of Christ the Teacher, designed by Northwest architect Pietro Belluschi, each residence hall has its own chapel dedicated to a particular saint. These chapels offer students a space to gather for community Mass as well as for personal prayer and quiet reflection. 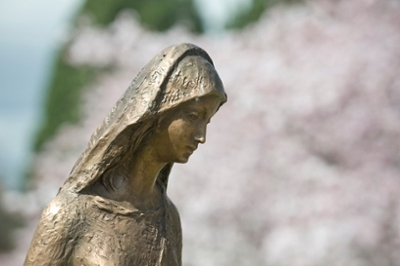 The Marian Garden is a quiet space next to the Chapel of Christ the Teacher where all are welcome throughout the day. Each aspect of the garden's design has a particular significance and can invite visitors more deeply into prayer.